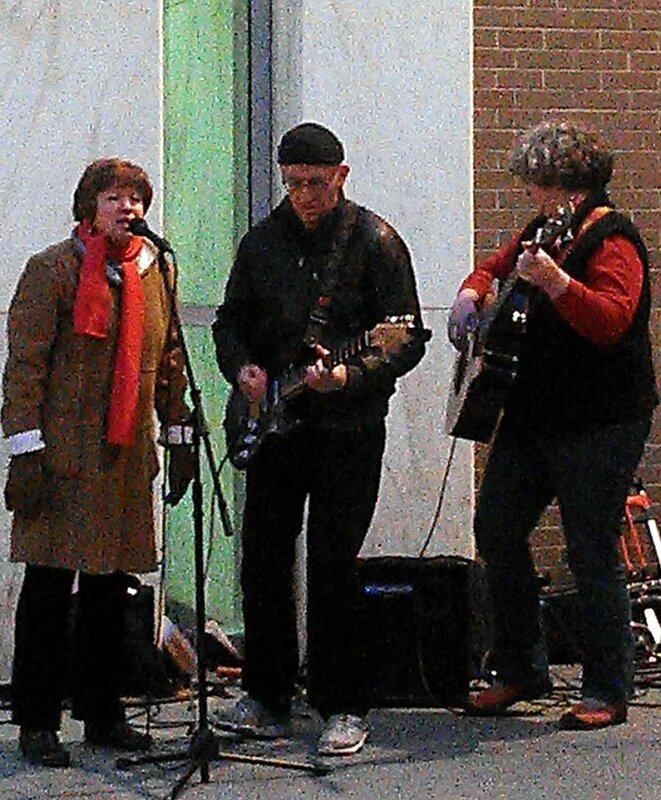 It was an honor to play at the CT Marriage Equality Rally this evening. We're not really "ready to go" on GLBT anthems (not a lot of Melissa Etheridge, Lady Gaga, or Abba in our set list) but we pulled out the Beatles' tune "The Word" (....the word is LOVE....) and our standard set closer "(What's So Funny About) Peace, Love, and Understanding" and those seemed to be well received. Steve was not available (or was too smart to drag his drum kit out in the cold!) so it was a "Guinea Pigs Lite" lineup. Cold evening with a lot of speakers, but a hardy crew stuck it out to the end. Kudos to Chivas Sandage for pulling it all together!